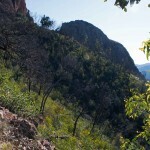 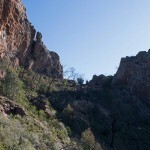 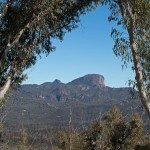 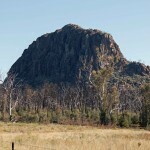 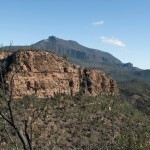 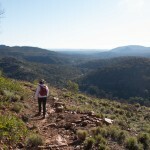 Jim and Kris have been away to the country town of Coonabarabran, home of the Warrumbungles National Park. 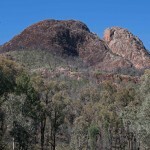 Coonabarabran is about 650 km North West from Canberra, so we drove up on the Friday and back on the Monday of a long weekend – Monday was the Queen’s Birthday Holiday in Australia. 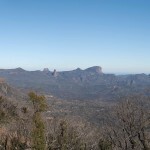 On the Saturday we explored the Warrumbungles, with a visit to the Siding Spring observatory, home of the Anglo-Australian telescope, and went for a short but ‘steep, demanding and challenging’ walk around Split-Rock in the Park. 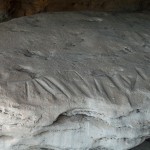 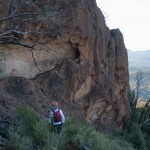 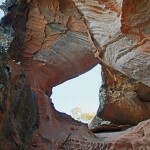 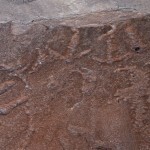 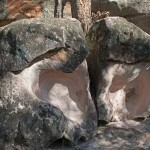 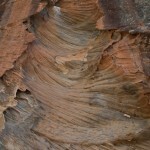 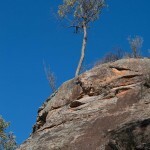 On the Sunday we visited a wind-eroded sandstone rock within which are a number of caves. 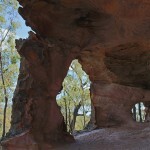 This is a special place for the local indigenous people, and is spectacular, interesting and informative, all at the same time. 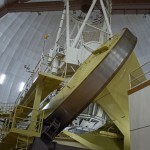 On Saturday evening we went to the Millroy observatory, home to a 40″ telescope which one is allowed to use. 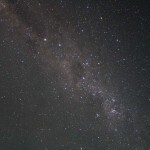 Among others, we saw the eta Carina star, which is identified as likely to become a supernova one day, the sombrero galaxy and Saturn. 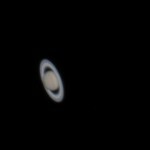 I was able to mount my camera on the telescope and photograph Saturn, and also used a tripod and long exposure to capture the Mipky Way, complete with the Southern Cross and the Emu’s Head. 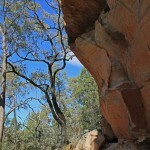 Photos in the attached Gallery.